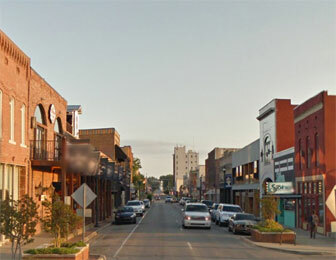 The home of the Arkansas State University Red Wolves, Jonesboro is one of Arkansas’ oldest and largest cities. Like many others it rose to prominence after the construction of the local railroad line with connections to St. Louis. The Jonesboro local courthouse has had a rough history; it has been burned down 3 times in 150 years. Jonesboro lawyers can assist you with any legal issue you may be facing, including personal injury, real estate, bankruptcy, criminal defense, and many others. A recent Jonesboro lawsuit has been filed against ASU and an on-campus bookstore alleging unlawful lending practices. The suit, filed by a rival off campus bookstore, claims that the university delays its financial aid checks until after books are required for class, and forces students relying on their financial aid to take out a credit line based on their expected aid with the bookstore. The university does not have such an arrangement with anyone else and other bookstores contend this is a scheme to force students to buy their books at the artificially inflated prices of the on-campus store. Attorneys in Jonesboro should be familiar with the Craighead County Court system. Different courts in Arkansas have their own rules, and your Jonesboro lawyer’s familiarity with Craighead County procedures will be an important factor in whether your case is resolved favorably. Need help finding the right Jonesboro lawyer for your case? LegalMatch can help. Our free service will match you to local Jonesboro attorneys specializing in your specific legal issue. LegalMatch is completely free, fast, and totally confidential.